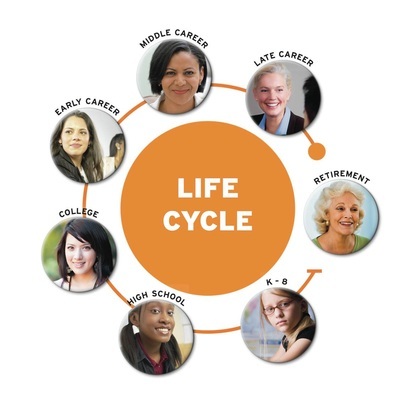 Learn the key terms found in the slideshare. Examine the following images. What patterns and trend can you see? Create a spider diagram of all relevant information you can discover from the images. 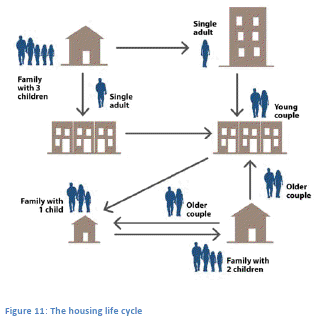 A growing population living in an urban environment. 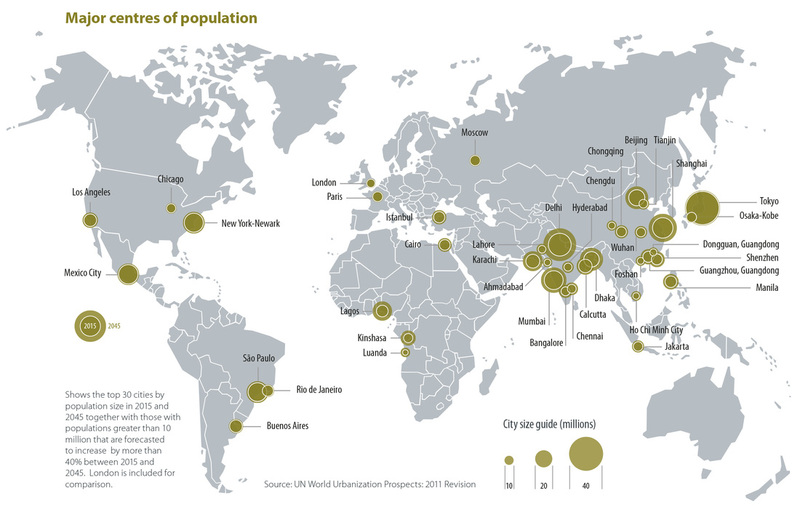 Major urban centres of the world. Explain the global increase in the number of mega cities. 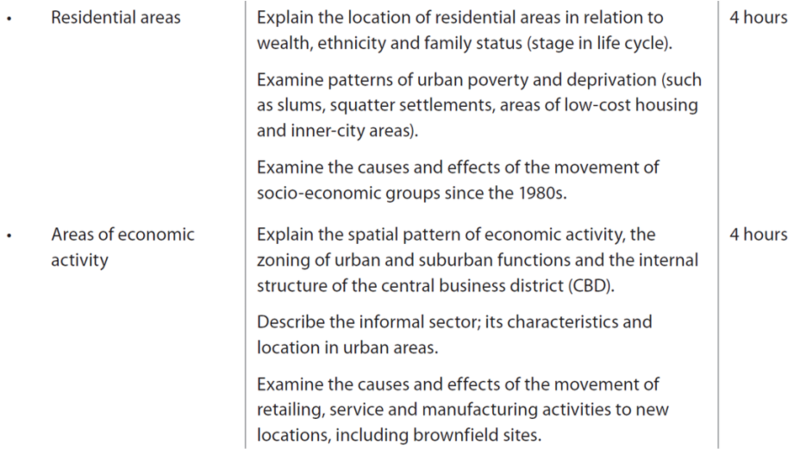 What are the factors which determine the boundaries of an urban area? How is the population or area of cities measured? 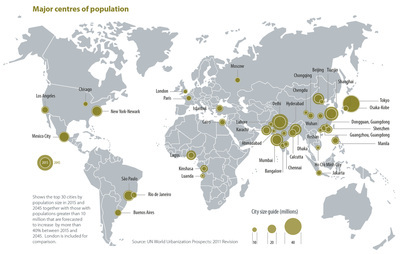 Where are mega cities most likely to occur? Why are so many mega cities growing in China? You may also need to do additional research. This BBC series on the megacity may be interesting for further viewing. 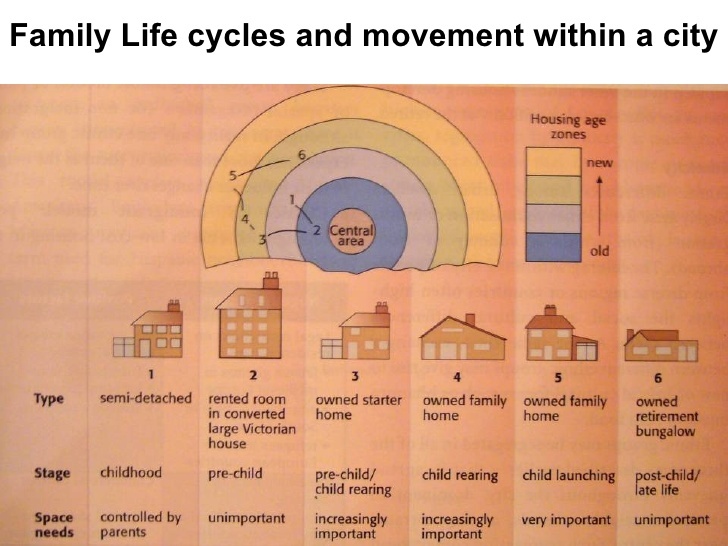 Along with Andrew Marr's commentary, it gives some interesting views into what life and city planning looks like in some of the world's megacities. 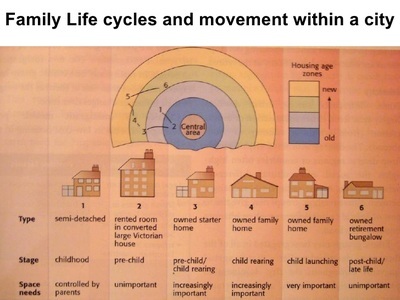 Examine the 5 images below and discuss the link between location and family life cycle.Make a list of the expectations that you would have in each stage and how this would impact where you live. The New York Times has published a series of maps below based on census data which shows the density of different populations in various American cities. Choose two to five cities and describe patterns that you see then analyse possible reasons for the patterns that you see. 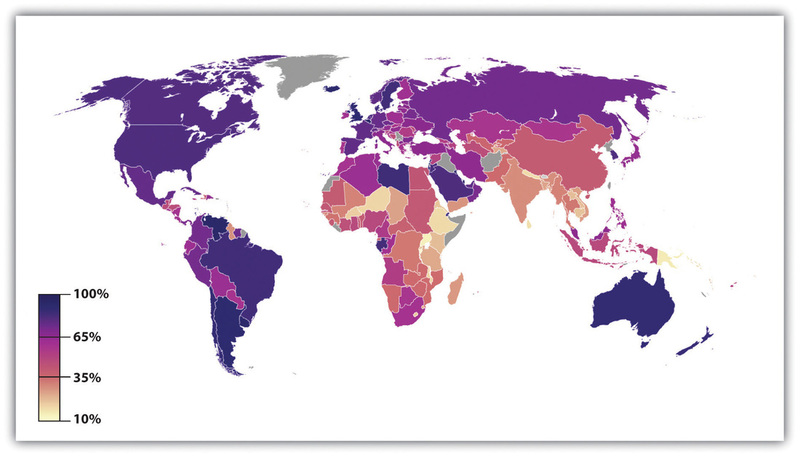 How might these maps, or the data used to create the maps, be helpful for urban planners? 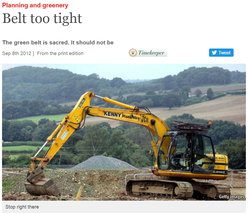 The Economist has written about whether to build new housing developments in London's Metropolitan Green Belt or not. What do you think? What would be the benefits? What are the arguments against? If you were a person who paid a lot of money to buy a house near the Green Belt, assuming that building on the Green Belt in the future would remain off limits, how would you feel if the rules changed? Read about it here. And here is the graph about the changing housing prices in and around London. Read the following article on Detroit. As manufacturing in Detroit went elsewhere, urban deprivation increased and eventually Detroit became a bankrupt city. 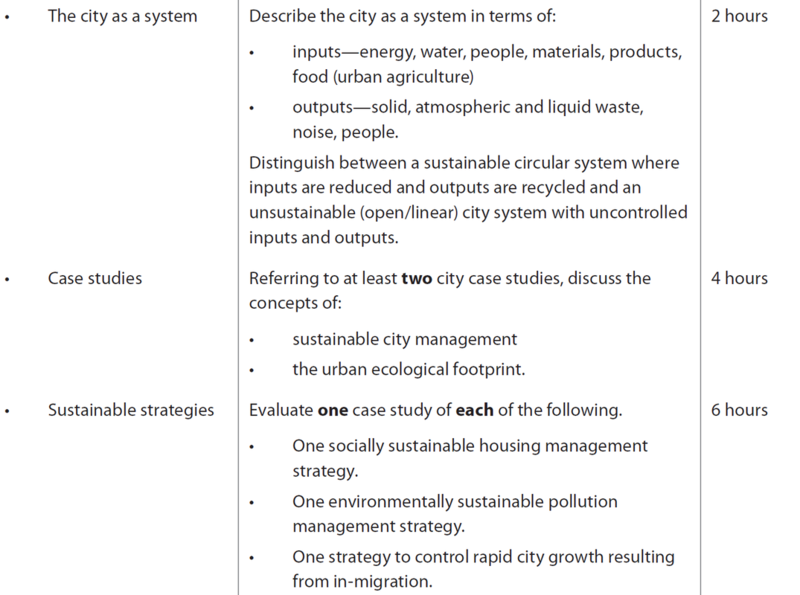 Using the resources below, discuss possible strategies for Detroit to work towards being a successful urban area once again. 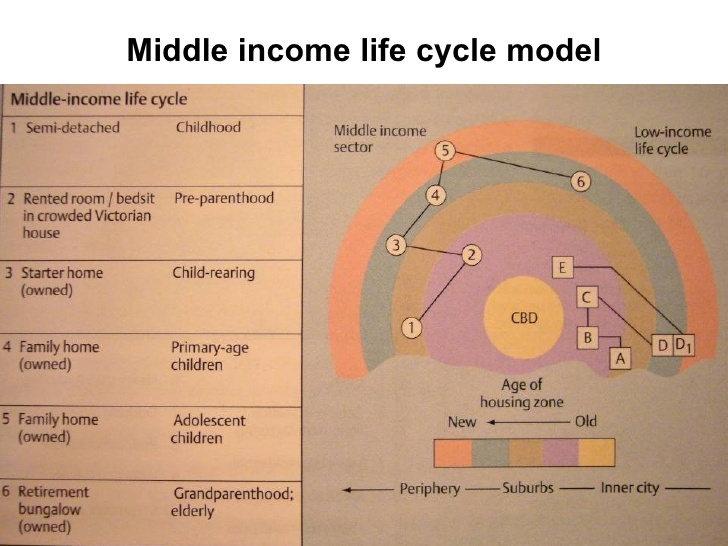 ​Explain what the informal economy is and how it affects urban environments. Use the YouTube below. 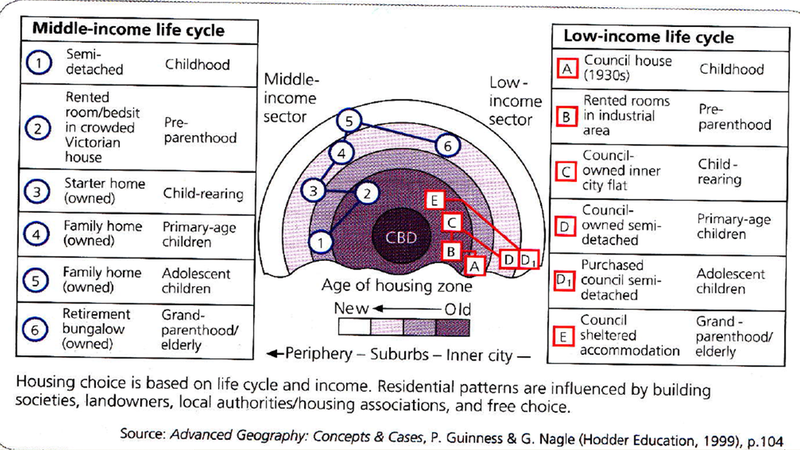 ​You may want to consider some or all of the following aspects of urban stress: congestion, overcrowding, noise levels, green space availability, waste overburden, quality of housing, social deprivation, physical disorder, crime and inequality. City Inputs: Water, energy, food, products, materials and people due to migration. City Outputs: Air pollution, Noise Pollution, Water pollution, Lack of green areas (recreation), Higher education, Waste material (rubbish), Traffic, People due to migration. View the videos below and consider different strategies towards creating a sustainable city. Investigate two shopping areas in an urban area of your choice. One in the city centre and one on the rural-urban fringe. 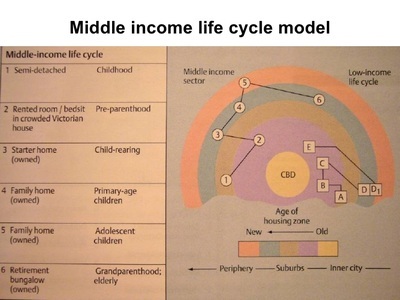 Explain the spatial pattern of economic activity, the zoning of urban and suburban functions and the internal structure of the central business district (CBD). shopping centre footprint in square meters or hectares. What else could be evaluated? 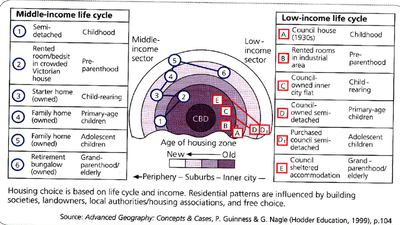 Do the two shopping area meet expected outcomes of land use and zoning patterns for urban environments? Can you think ways to collect qualitative data in addition to the quantitative data sets above?